All opinions below are my own. 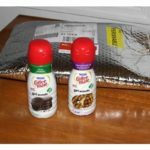 I was so excited when my CLR Products arrived in the mail because they are PERFECT for Spring Cleaning. 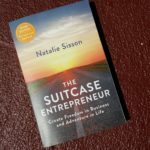 I had several projects that needed to be taken care of, and thanks to this mail fairy delivery I was able to make quick work of them. This gunk would have taken a lot longer to clean with other brands of cleaners. The foaming action did all the heavy lifting for me. Contact me HERE! 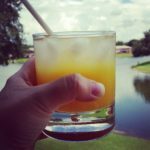 I’m PR friendly ? Here's more about the CLR Brands Mold & Mildew Stain Remover directly from the company's website: CLR Brands Mold & Mildew Stain Remover is a powerful, bleach-free formula designed to remove tough mold and mildew stains from a variety of surfaces. 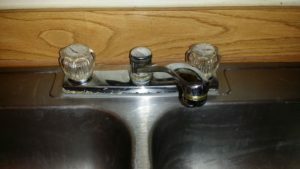 The foam sprayer allows for a more direct application, preventing splash back and spores from spreading in the air. You can use CLR Brands Mold & Mildew Stain Remover in bathrooms, kitchens and basements on painted walls, ceramic tile, hardwood floors and baseboards as well as fabrics. CLR Brands Mold & Mildew Stain Remover will eliminate stains from glass, metal, brick, concrete, marble, laminated countertops, fully cured and oil-based painted surfaces, hard plastics, automobile tires, wood, grout and fiberglass. CLR Brands Mold & Mildew Stain Remover is part of the Environmental Protection Agency’s Safer Choice Program recognizing the product as a safer alternative to chemicals. 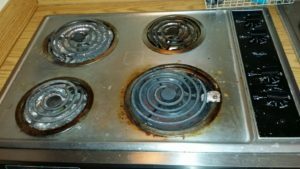 Next, I used the CLR Bath & Kitchen Cleaner, and although there were some burns marks on the inside of the stove I was cleaning that couldn’t be changed, I think this cleaner did a darn good job. Again, this one was a foaming action cleaner, so all I needed to do was spray it, let it sit and then wipe it off. I did need a “little” elbow grease because the gunk was so stubborn, but for the most part, this cleaner again did most of the work for me! Here's more about CLR Brands Bath & Kitchen Cleaner directly from their site:  CLR Brands Bath & Kitchen Cleanercontains no phosphates, ammonia or bleach and is the perfect cleaner for most surfaces in your kitchen and bathroom. 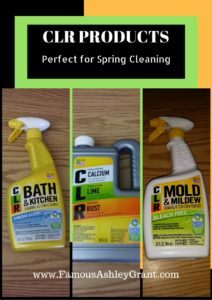 CLR Brands Bath & Kitchen Cleaner is a multipurpose, multi-surface cleaner that quickly cuts through calcium, lime, soap buildup and dirt on your sink, chrome fixtures, stainless steel as well as the sliding door to your shower. You can use CLR Brands Bath & Kitchen Cleaner on ceramic tile, bathtubs, white grout & caulk, toilet bowls, fiberglass and kitchen countertops. 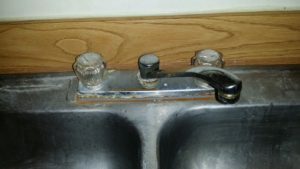 CLR Brands Bath & Kitchen Cleaner will not remove rust and make sure you do not use our cleaner on vinyl, marble, mirrors, plastic laminates, wood, fabrics, painted surfaces, colored grout or wall coverings. 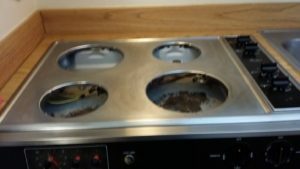 Always spot test in an inconspicuous area first before cleaning the entire item. Unfortunately, you can’t see it too well, and you can’t really tell the difference in my before and after images because they came out so dark. What I will tell you is this – my shower head before CLR didn’t work so well. There were several spots so crudded up with the hard water stuff that when you turned on the shower, the water was blocked from shooting out of all the holes of the head. Now, after the treatment, it’s like a whole new shower head with every hole clear and free to dispense water. My husband actually wondered if I bought a new one because it’s coming out so much stronger than it was before! 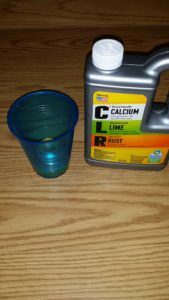 Here's more about the original CLR Brands Calcium, Lime & Rust Remover directly from their site: CLR Brands Calcium, Lime & Rust Remover is a powerful formula for dissolving tough calcium and lime deposits as well as surface rust stains on outdoor faucets, rusty siding and the hard water stains left from the sprinkler system on your outdoor windows. 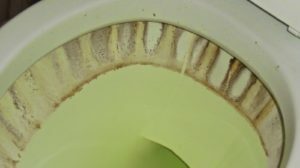 CLR Brands Calcium, Lime & Rust Remover is effective on porcelain, chrome, glassware, fiberglass, and stainless steel. 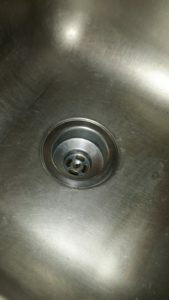 When cleaning, use a mixture of equal parts of CLR Brands Calcium, Lime & Rust Remover and warm water. 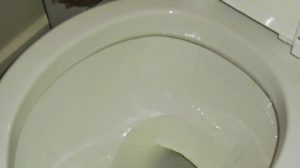 Let the solution sit on the spot test area for no longer than two to five minutes, then rinse promptly and thoroughly with cold water. If there are no adverse reactions, then it’s safe to use on the other affected areas of the item. 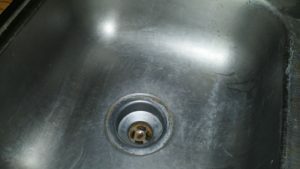 Using a soft scouring pad is recommended to assist in removal of the deposits. If the stain does not completely disappear, repeat the process. CLR Brands Calcium, Lime & Rust Remover has been scientifically proven to dissolve mineral deposits within the first two to five minutes, one layer at a time. 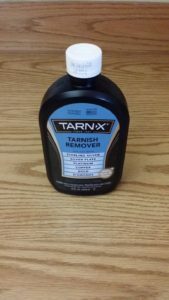 The only product that I received that I haven’t had a chance to use yet is the Tarn-X Tarnish Remover seen below. This stuff is great for sterling silver, silver plate, platinum, copper, gold and diamonds. I’m planning on cleaning my jewelry with it very soon, and I’ll share my thoughts on it afterwards! 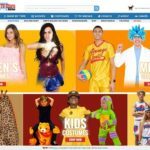 I would definitely recommend all of the CLR products I tried for this write up. They are just awesome cleaners! They aren’t overly “chemically” in smell, and I don’t want to run out of the room when I’m using them. They get the job done, and they do their job well. 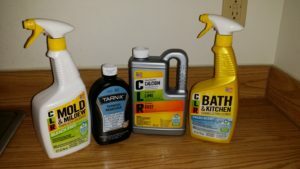 I’m a fan, and I’ll bet if you use CLR products for your Spring Cleaning, you will be too! Cool. That’s news to me. Much appreciated.